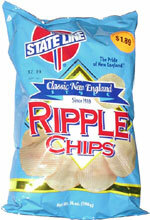 Taste test: These are very good narrrow-rippled potato chips, with a generous helping of salt and lots of potato taste. This huge bag (14 ounces) had a ton of chips in it. Smell test: Strong potato aroma. Company: John M. Boyd Co. 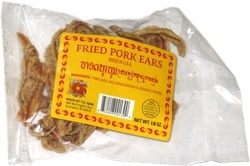 This snack was discovered by Jeremy at Ocean State Job Lot. Review published .